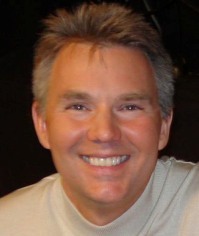 Dr. Alexander Loyd is the #1 Bestselling author of The Healing Code. He has been featured live, on NBC, ABC, CBS, Fox, and PBS News programs as an expert in healing the source issues underlying illness and disease. Dr. Loyd has a PhD in Psychology, and an ND (doctorate) in Natural medicine and is a leading expert in the area of alternative medicine. He was the subject of a PBS special about The Healing Codes, and healing the source of problems vs. managing symptoms. You don’t want to miss this. And you will have the opportunity to get a custom code from JoHanna Chan, a Certified Healing Codes practitioner. If you are registered for the free Membership, you will get an e-mail with the dial in details and you can also find that information in your Member area. If you are a free Member you will have the ability to listen over the web – right on your own computer or on your mobile device through your speakers without the need to dial in!! So if you’ve wanted to listen without having to use your phone, this is your chance. Don’t know what time it is where you are? Use this time zone converter to find out. Please use the time zone converter to find out what time it is – the same time as New York! If you are a free member you will see the ‘listen on the web’ details next. If you are not a free member, join now so you can listen on the web and gain access to the archives. If you are NOT a Free Member, Join Now. Remember – If you are NOT yet registered (registration is free), you can register easily by clicking on this Membership Registration link. You will also see many of the other benefits of free registration.